On Friday, the Pittsburgh Steelers ruled running back Le’Veon Bell ‘out’ for the wild card game against the Baltimore Ravens. Many felt this would be the decision the team would make, but fans on social media were concerned that the Steelers offense may not have the right combination in the ground game despite the signing of veteran Ben Tate and combo of Dri Archer and Josh Harris. The fact that Bell will not play against the Ravens isn’t necessarily a bad thing for the Steelers. The hyperextension injury that Bell suffered against the Cincinnati Bengals in the final game of the regular season is a painful one. Despite no structural damage, a tweaked knee kept Bell from being able to get on the field, even though head coach Mike Tomlin said that Bell was able to get on a stationary bike; stationary being the operative word. Bell wasn’t allowed to touch the turf. He didn’t get in any sprints, cuts, cone drills. With the style of play that Bell possesses, a toe-tapping patient approach until blockers open holes for him in the offensive line, it would have put additional strain on the already weak knee. No one in the Steelers organization wants to put a player of the caliber of Bell in a situation where he may require surgery if he were to tear a ligament or require surgery. 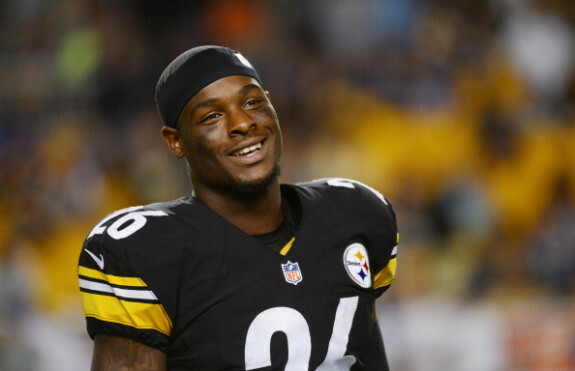 With Bell on the sidelines, the Steelers will give him an extra week of rest. That means that the Steelers offense will need to employ a full-squad effort in order to earn necessary yardage and puts points on the scoreboard. A combination of their three available running backs will keep the Ravens offense honest by not allowing them to limit the Steelers to a one-dimensional offense. Tate and Harris are both capable of not only being tough rushers but have the hands to break outside and give Ben Roethlisberger outlets. Archer’s size may not be imposing to opposing defenses, but his speed in the open field certainly can be. If the three of them can work as a committee, Bell could be ready to go against the Denver Broncos. In this case, allowing Bell the extra time to heal makes real sense strategically. Allow the committee approach to wear down the Ravens, get Bell on track and then worry about moving forward in the 2014 NFL playoffs once this first game has been won. The team won’t be focused on keeping Bell from getting hurt and can focus, instead, on getting the job done and sending Baltimore packing. 1 Comment on "Le’Veon Bell Out Saturday Not Necessarily A Bad Thing For Steelers"
A well-reasoned article, Christina. Tomlin made the right call for the team and for Bell’s future. If the Steelers can’t beat the Ravens without Bell, they aren’t good enough to go far in the playoffs anyway. Football is a team game, and the Steelers, playing as a team, are good enough to beat the Ravens.